Dessert Plate – Royal Garden Green – EVICT1 pattern. 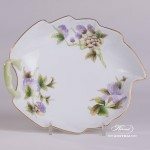 Herend fine china – Green Flower and Butterfly design. Royal Garden Green – EVICT1 pattern – Herend Dessert Plate. Dessert Plate - 517-0-00 RO-ETB - Rothschild Bird Blue Fish Scale decor. Traditional Rothschild Bird decor, ordered by the famous Rothschild family from the Manufactory of Herend. 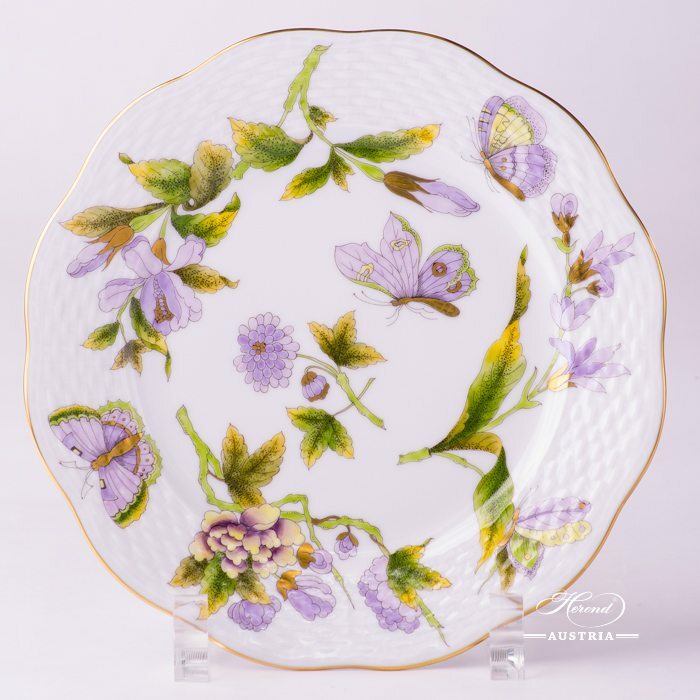 Universal Herend Dessert Plate for daily usage. Dream Garden-REJA Dessert Plate - 20517-0-00 REJA - Herend Porcelain This Dream Garden decor is the modern variant of Couple of Birds-RO pattern. The Dream Garden-REJA decor is available Tea, Coffee, Mocha and Dinner Set too. 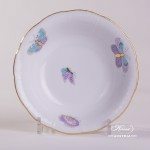 Dessert Plate w. Butterfly - Royal Garden Turquoise Edge XCTQ1 pattern Herend fine china - XCTQ1 Turquoise Monochrome design w. Butterfly. 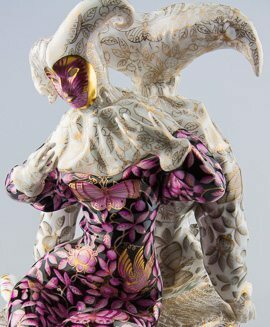 It is a modern Herend pattern. Dessert Plate - Royal Garden Turquoise Butterfly EVICTP2 pattern. Herend fine china - Turquoise Butterfly design. Email Victoria EVICT design is a modern Herend pattern. Available in Green EVICT1 or Turquoise EVICT2 versions. Coffee Mini Set - Royal Garden Green Flower EVICTF1 pattern. Herend fine china - EVICTF1 – Green Flower design. Email Victoria EVICT design is a modern Herend pattern. Available in Green EVICT1 or Turquoise EVICT2 versions. Bowl - Royal Garden Turquoise Butterfly EVICTP2 pattern. Herend fine china - Turquoise Butterfly design. Email Victoria EVICT design is a modern Herend pattern. Available in Green EVICT1 or Turquoise EVICT2 versions.